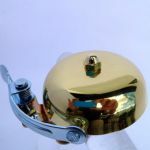 The Classic bell is also available in brass too! The origin of many bell designs can be found in the simple elegance of this Classic bicycle bell. 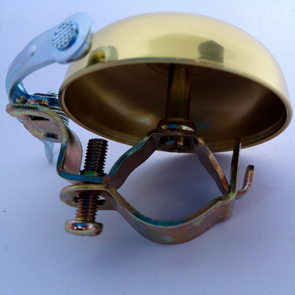 The brass bell is made to vibrate by a spring loaded hammer. The resulting bracing sound has been accompanying cyclists for decades. It helps you make a very special statement about you and your bicycle!